Are you looking for luxury Zambia safari holidays? Well, look no further because you have come to the right place! Here at Ubon Safari, we provide luxury safari holidays in Zambia and other destinations in Africa. 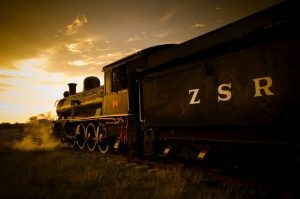 Explore Zambia like never before! Discover its beautiful attractions, sights, landmarks, culture and heritage. 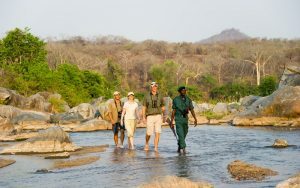 Our professional tour guide team will give you a tour of Zambia and make your luxury safari holiday spectacular. The Republic of Zambia is a landlocked Southern African country with eight neighbouring nations. The central capital city is called Lusaka which is home to most of the country’s population. Firstly known as Northern Rhodesia, Zambia was renamed in 1964 at independence. The name Zambia comes from the River Zambezi meaning the “River of God”. 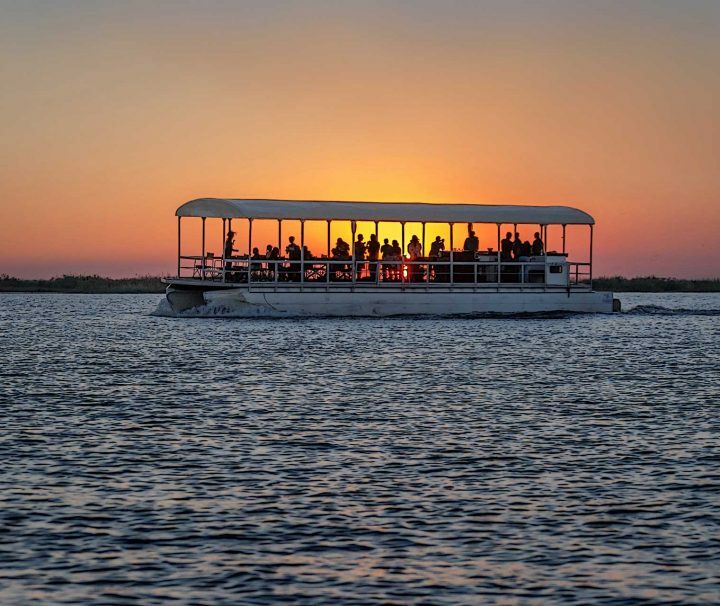 One of the few countries blessed with water resources and known as one of the most beautiful, diverse and unspoilt countries, a luxury safari holiday in Zambia has a lot to offer. For example, its stunning national parks, waterfalls, rivers and lakes. About 30% of Zambia’s land is reserved for the wildlife with 20 national parks and 34 game management areas. The national parks provide pristine sanctuary to the wildlife and boast some of the best game viewing opportunities in the world, making our luxury Zambia safari holidays perfect for those wishing to have a magical experience. 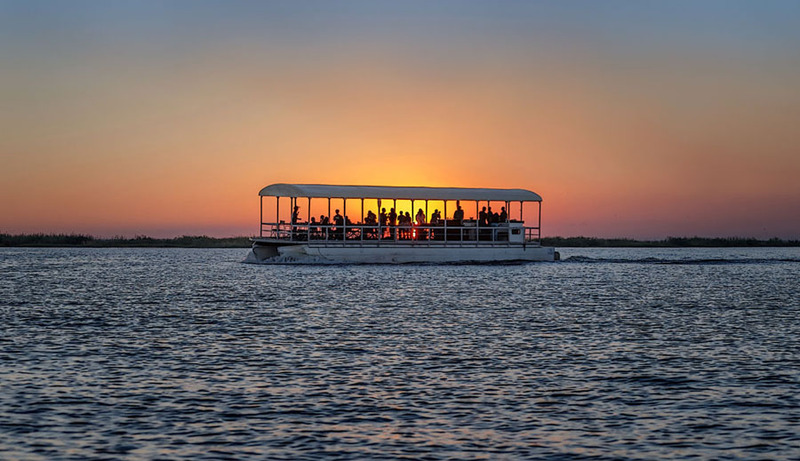 From the North and South Parks on the hippo and croc-infested Luangwa River to the wide expanse of the Lower Zambezi, our luxury safari holidays in Zambia are a popular choice for lots of reasons. There is the chance to spot animals that you have never seen before and beautiful accommodation options. Please enquire with the Zambian Embassy in your country of Residence as we recommend you get you visa before you before you travel. There is an otopn for a KAZA UNIVISA which allows you to cross between Zambia and Zimbabwe only, multiple times and is valid for 30 days. It is not mandatory to tip however we do recommend you to tip in Restaurants, Bars something that would suit you. For Drivers, Guides and Porters we recommend a minimum of USD 5 per person per day. Most places have WIFI / internet, however in camps and lodges you may be limited to some specified areas, in camping safaris thereis no internet. Most of the locations in Zambia have great mobile coverage especially in cities and towns. There’s limited access in some of the rural areas. A local sim would be easily available for purchase. Western style Toilets are available in most hotels, lodges and camps. Some areas may have squat toilets. Drinking tap water is not recommended. Mineral water is always available. Please inform your Bank before you travel to ensure you will not have problems using your cards. Credit card facilities are available in some areas only. ATMs are available in major cities and towns. Electricity in Zambia has 230V and 3 Pin flat plugs although some new hotels are now having round pin plugs so carry your travel plug. Yes, visit your GP before you travel for your vaccinations and Malaria pills. Dress respectfully, shoulders to knees should be covered especially in when entering places of worship. Do not throw cigarette butts especially in the parks as it may cause fire and destroy wildlife and habitats. Don’t be afraid to learn the local language and smile. 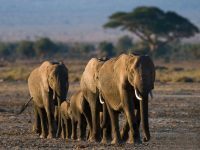 At Ubon Safari, we strive to provide our customers with top of the range African safari tours and beach holidays. If you would like to book our luxury Zambia safari holidays, email info@ubonsafari.com and we will respond to your enquiry as soon as possible. 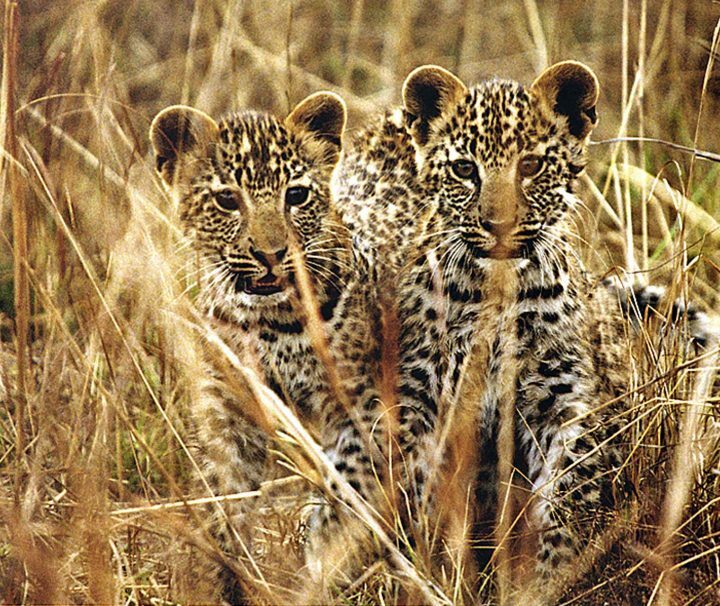 Needless to say, that Ubon Safari is one of the leading experts for luxury African safari holidays. Located in eastern Zambia, South Luangwa National Park is one of the three national parks in the Valley of Luangwa River. 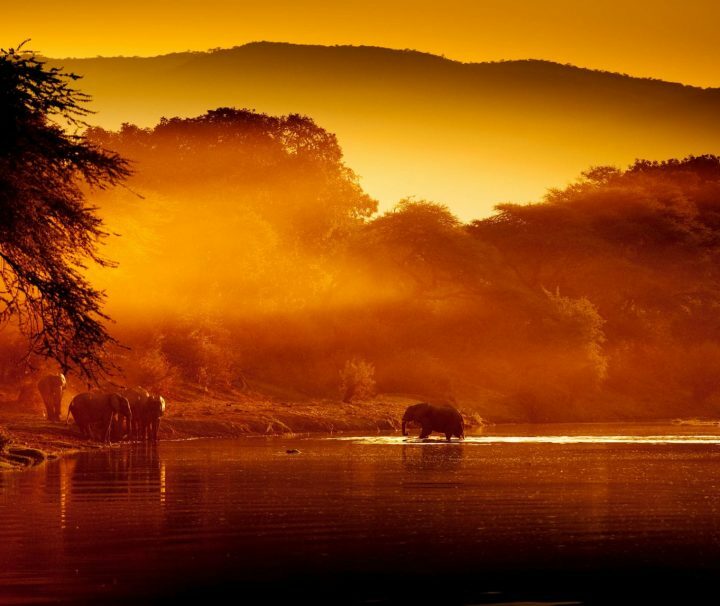 Centered around the Luangwa River, the park covers an area of 9,050 square kilometres. Home to one of Africa’s largest concentration of wildlife, the park has lions, leopards, elephants, hippos, crocodiles, giraffes, zebra, waterbucks and bushbucks. South Luangwa’s natural ebb and flow of flooding makes much of the park inaccessible by road which keeps it a sanctuary for the large concentration of game that live there. With over 400 bird species recorded, the park is a dream come true for birders. The Lower Zambezi National Park, previously the Zambian president’s private reserve, is a key national park of Zambia. It lies on the north banks of Zambezi River. On the opposite bank is Mana Pools National Park in Zimbabwe. The park covers an area of 4,092 square kilometres. Most of the game concentration is found on the valley floor. Famous for its big game, Lower Zambezi is home to elephants, buffaloes, waterbucks, kudu, zebra, hippos, crocodiles, lions, leopards and wild dogs. The flow of Zambezi River makes it a perfect location for canoeing. The birdlife along the riverbanks is exceptional including unusual species such as the black eagle, red-winged pratincole and the elegant crested guinea fowl. Situated along the upper Zambezi River, Mosi-oa-Tunya National park is only 66 square kilometres in size. The Mosi-os-Tunya National park gets its name from the Kololo or Lozi language meaning “the smoke that thunders”. 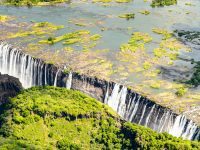 One half of the park includes the Victoria Falls and stretches about 12 kilometres up the Zambezi River above the falls. Mosi-oa-Tunya is a home to a wide variety of wildlife including zebra, giraffe, warthog, antelopes and other small animals and birds. 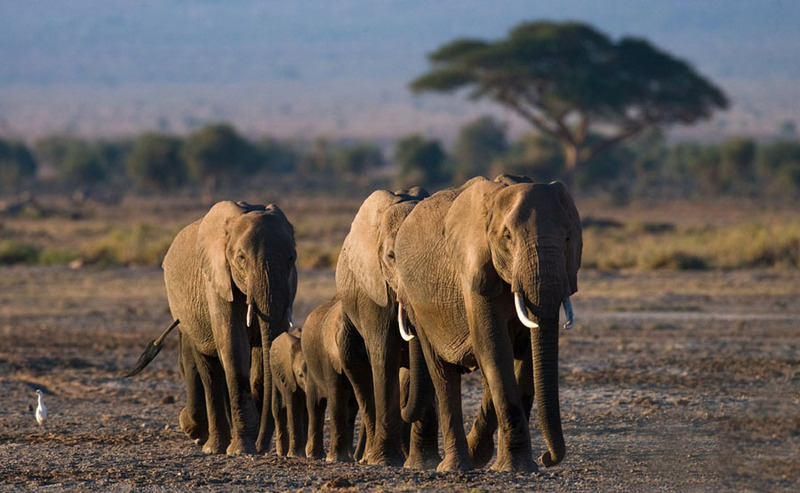 Along with game drives, walking safaris and horseback trails can be done in this park. 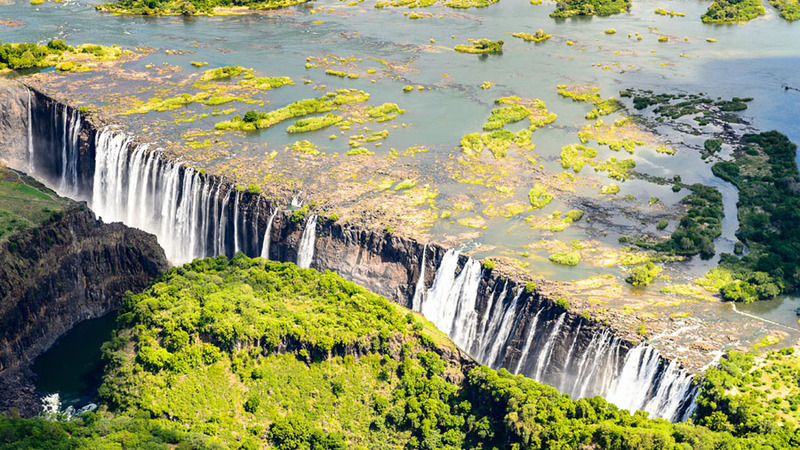 Situated just about 10 kilometres from the Livingstone city, the falls lie across the border of Zambia and Zimbabwe. The Victoria Falls is one of the most spectacular natural sites in the world. Originally known as Mosi-oa-Tunya, meaning, “the smoke that thunders”, the falls was discovered by David Livingstone who named it in the honour of the Queen Victoria of Britain. 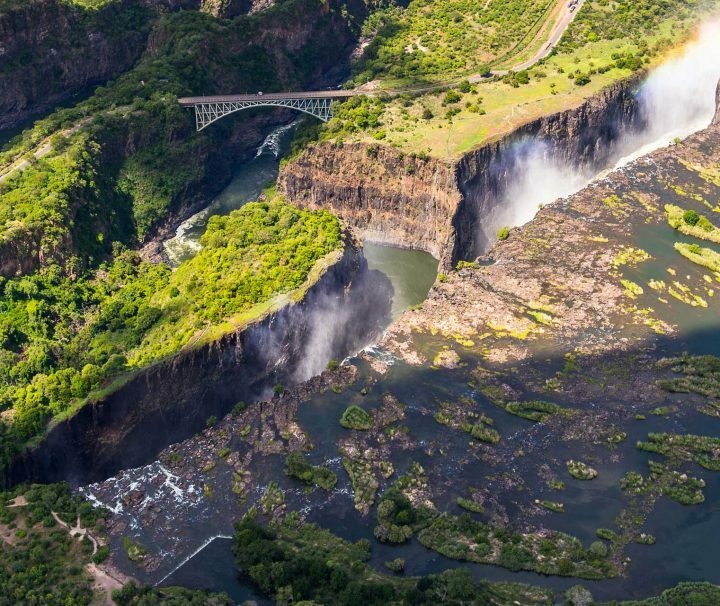 At a height of 354 feet and a width of 5,604 feet, Victoria Falls is where the wide Zambezi River simply drops some 100 meters into a narrow gorge. It is roughly twice the height of Niagara Falls and one of the largest sheets of falling water. 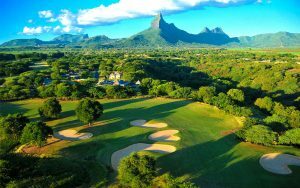 There is more to Livingstone than just visiting the Falls. The gorges themselves create many high adrenalin stunt-like opportunities; the wide and very beautiful Zambezi upstream of the Falls is wonderful for boating and canoeing. Other adventure activities from Abseiling, Flight over Victoria Falls, Gorge Swing, Horseback trails, Bungee jumping and swimming below the Victoria Falls can also be done here. Covering 4,636 square kilometres, North Luangwa National is a remote park, once almost forgotten and heavily poached, now offers a superb wilderness experience. The park lies on the western bank of the Luangwa River bordered by the Muchinga Escarpment, which rises over 1000 metres from the valley floor. The valley is not so wide here and the camps are near the escarpment. 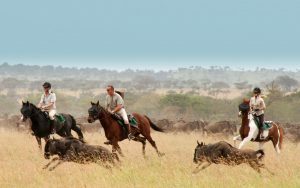 The game in the area includes buffalo, large prides of lions, hyena, rare Cookson’s wildebeest, bushbuck, zebra, warthog, baboon, elephant, hartebeest and the occasional eland. 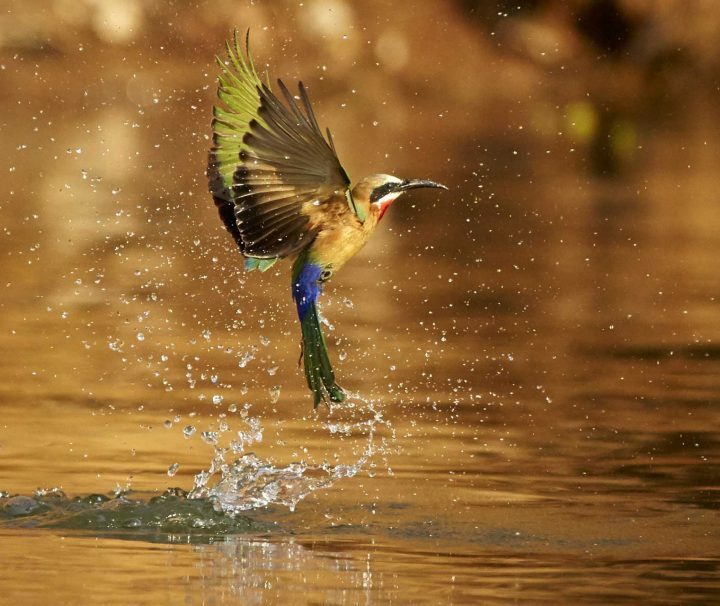 The birdlife is the same as the South Luangwa National Park. 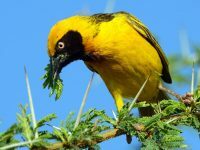 Regularly sighted are crowned cranes, purple crested loeries, lilian’s lovebird, carmine bee-eater, broad billed roller, giant eagle owl and pel’s fishing owl. Covering an area of massive 22,400 square kilometres, found in the centre of western Zambia is the Kafue National Park. It is the oldest and the second largest national park in Africa. Only 2 hours drive from Livingstone, this park has been named after the Kafue River. Home to over 55 different animal species, the park has more diversity of wildlife. For many years the park was mostly unvisited and it is only recently that camps have started to develop. 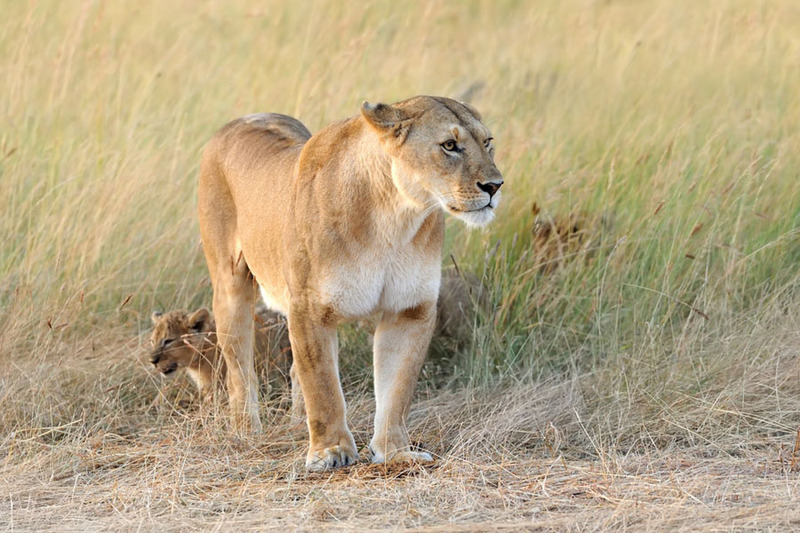 Any undeveloped wildlife area will attract poaching and thus the game has been reduced but it is still exceptional – more in diversity than in numbers, including the famous tree climbing lions and also the cheetah, which is a rare sighting in Zambia. 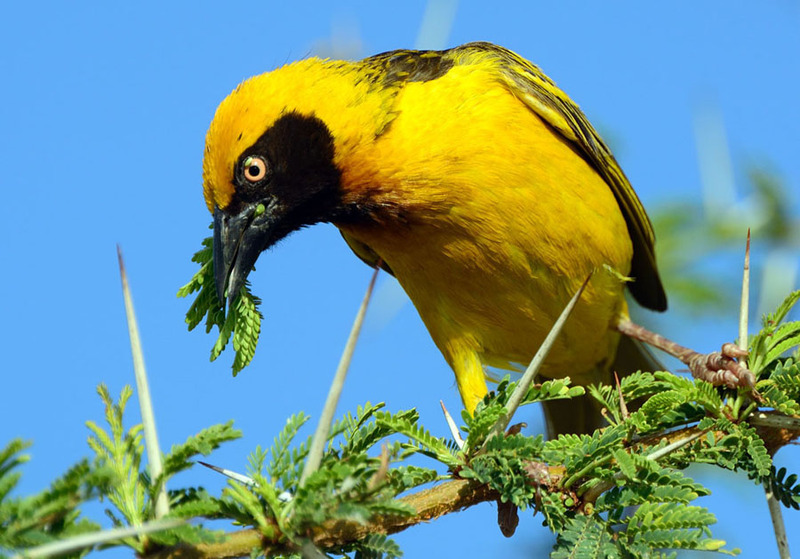 With over 500 species of birds recorded, Kafue is truly a birders’ paradise. Some of these are Pel’s Fishing owl, Black-cheeked lovebird, Wattled and crowned crane, racket tailed rollers, pallid and montagu’s harriers. 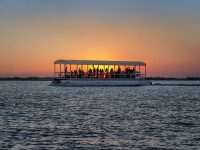 Although the water levels change through the year, the Boat cruises are available throughout the year.